Do you keep going through box after box in your garage to find that tool you need to finish the week-end project? Cannot remember which box has the toy that your toddler wants right after you move and start unpacking? Want to 'peek' into that box in storage without opening it? PeekIntu is the iPhone App you can count on. This innovative app can help organize your stored or packed items through photos, audio & text memo. 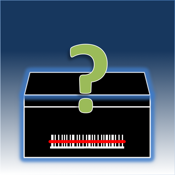 Boxes containing items can be identified with bar code labels or any label with image. You can even generate and print bar code labels directly from PeekIntu!